AROUND 286,000 HOUSEHOLDS have now registered to pay the €100 household charge as one trade union today said that it would stand “shoulder to shoulder” with those who resist paying it before the end of the month deadline. The Local Government Management Agency (LGMA) said that as of lunchtime today around 286,000 properties had registered to pay the charge with 11 days left before the 31 March deadline. 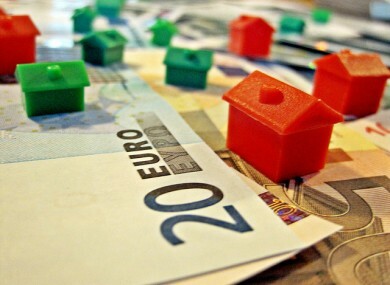 The government hopes to raise €160 million through the temporary tax with it expecting that 1.6 million households will eventually register. At present, less than a fifth of households have registered. The LGMA said yesterday that it expected there would be a rapid increase in the number of payments before the end of the month. Those who have not paid by 31 March will face fines. A countrywide campaign is urging a boycott against the charge with independent TD Mick Wallace describing it as “grossly unfair” over the weekend. Today, the UNITE trade union criticised the ”angry bullying measures” from the government. Regional secretary Jimmy Kelly said that his union’s members will “lead their workplaces and local communities in resisting this flat rate charge”. Kelly said that the “unfairness” of a flat rate charge, the government’s “lack of respect” for the Data Protection Commissioner, along with what he said was the “hectoring” tone of some government ministers were among the valid reasons for people not to pay the charge. “We believe it is right there should be a tax based on property as exists widely and generally fairly throughout Europe, but not at the scandalous flat rate we are being asked to pay in the short term,” he said. The government intends to introduce what it says is a more fair and equitable property tax next year. The details of this tax and how to implement it are currently being considered by a review group set up by Environment Minister Phil Hogan. Email “Household charge: 286,000 register to pay as union urges boycott”. Feedback on “Household charge: 286,000 register to pay as union urges boycott”.